When it comes to your equipment, you demand quality and value – and Hannay Reels delivers every time. Our reels are never retrofitted to the job. Every one of our reels is designed and built to your specs of heavy-gauge steel, with exclusive features that help absorb the punishment delivered by even the most demanding applications. 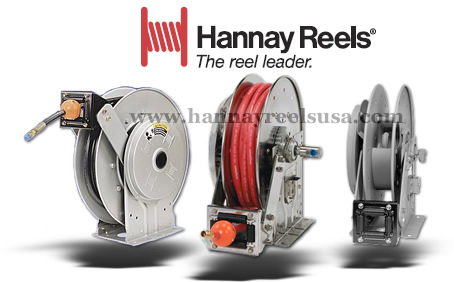 For reels that outlast and outperform all the others, you can depend on Hannay, the leader in OEM, industrial, and commercial reel applications.